Back the trio of Man City, PSG and Altetico Madrid to win in tonight’s Champions League encounters with Today’s Enhanced Odds! Scoop a whopping £170 with Today’s Enhanced Odds for Europe’s elite competition. To claim this, just make a £10 wager on Man City, PSG and Atletico Madrid all to seal victories against their respective opponents. Man City will host German side Borussia Monchengladbach at the Etihad, while Arsenal will go head to head with four-time French champions PSG at Parc des Princes. And finally, PSV Eindhoven are set to face last year’s runners-up in the competition Atletico Madrid at home. 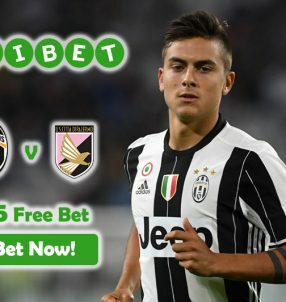 Open an account with the online sportsbook today, because the matches will be played tonight; make sure to place your bet on the trio before 19:45 BST to win a cool £170! If all three of them win their games, you’ll get your winnings based on the normal odds on the site, while the rest of the funds will be credited to your account in Free Bets. This will see you get the full 17.00 (16/1) odds with Today’s Enhanced Odds. Note: this offer is open to players from the UK and the Republic of Ireland. PSG have seen two marquee players depart their club last summer (Zlatan Ibrahimovic to Man United and David Luiz to Chelsea), while Arsenal have strengthened their squad with signings like Granit Xhaka, Lucas Perez and Shkodran Mustafi. Wenger hopes the new recruits – which have cost a combined £100 million – will help the Gunners reach far in the competition, unlike previous seasons, where he had to rely on inexperienced youngsters, despite some of them being the best young footballers at the time. With Wenger’s contract running out at the end of the season – it’s unclear whether he will be offered a renewal by the hierarchy – this could very well be his final season in Europe’s elite competition with the North London side. 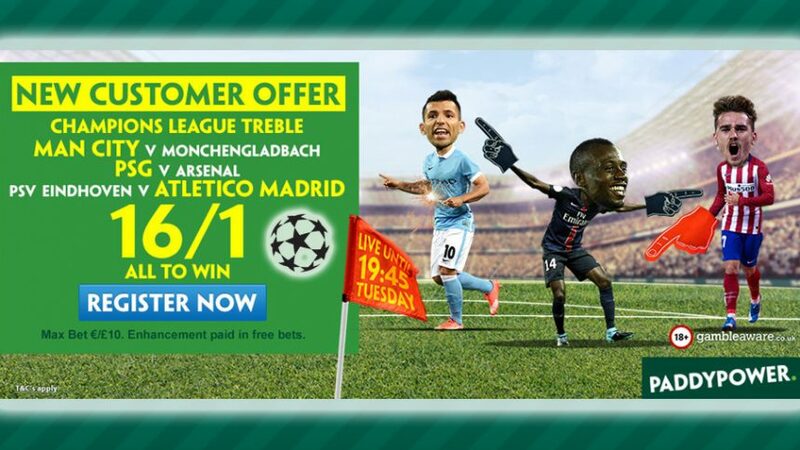 Win a small fortune on the Champions League trio tonight with Today’s Enhanced Odds 17.00 (16/1)! Earn yourself a cool £170 with Today’s Enhanced Odds!